In these terms, science must be deterministic. No systematic study of anything might ever be made if not starting from the conviction that a given set of causes will produce the same results, over and over again. No laws attempting to describe any facts in general terms might be formulated unless starting from the same premises. The same ‘uncertainty principle’ can be extended to other pairs of “complementary variables, such as length of time and energy“. And there are countless other examples of ‘in-determination’ which have been documented by scientists during their search for the ultimate truth. To start, I’ll note first that ‘determinism’ is a concept which had started its career in philosophy while ‘science’ has a more ‘complex’ origin. It might have been initiated by Christian theologians trying to ‘guess’ God’s will only they were attempting to fulfill that task by closely watching Nature – which was seen as the very embodiment of God’s intentions. In this sense, scientific determinism can be understood as the conviction that Nature must make perfect sense – must be completely explainable, simply because God’s creation – which includes Nature, must be perfect. OK, and since all theologians agree that no human will ever be able/should ever pretend to know God, what’s the problem in accepting that Man – collectively speaking now, will never learn enough to find a complete explanation for everything? Oh, you mean the people who are sure that God doesn’t exist? Who are just as sure that God doesn’t exist as the staunch believers who are perfectly confident that God not only exists but also micro-manages everything? Under the Sun and beyond? ‘So you are going to accept that science will never ‘know’ everything AND that ‘everything is a consequence of the previous state of affairs’ ‘ ? The key word here is “inevitable”! For a philosopher it is very easy to say ‘inevitable’. Even more so for believing philosopher. For a scientist… how is a scientist going to say that something is ‘inevitable’? ‘Philosophically’ speaking, of course… as in ‘with absolute precision’?!? ‘What are you trying to say here? That everything revolves around the manner in which each of us relates to the meaning of his own interpretation of each concept? AND that man is also responsible for the consequences his own actions! In front of his own children, before everything else. For no other reason than it will be his own children who will bear the brunt of his own decisions. “Science as Falsification“, Karl R. Popper. Homo had become sapiens when he had started to learn. To actively discover information and to discuss the findings with their peers. This was how our ancestors had developed both consciousness and language. The next stage was reached when people were no longer satisfied with mere survival. And attempted to glimpse into the future. Until that moment, the deal was simple. People followed the rules – which had already been set in ‘stone’ and passed over from ‘the beginning of time’, and things continued unabated. Hence no need for further inquiry. From that moment on, everything had changed. So, there were rules, there was freedom and there was the Will of God – which had to be determined if it was to be followed. How to determine it? Nothing simpler. ‘Ask the animals and they will teach you.’. Meaning that the answer of any question our ancestors might have had about the Will of God was accessible to them. And that they had the liberty – the obligation even, to look for that answer. By studying the nature. Because understanding the nature – which was the incarnation of God’s Will, was considered by our grandfathers to be the key to understanding the Will of God. And, implicitly, a keyhole through which they could glimpse into the future. Their future, of course. It was a very recent development that more and more people had become convinced that science had killed God. By producing ‘scientific evidence’ for more and more things which used to be considered ‘acts of God’. Franklin’s lightning rod and Georges Lemaitre’s Big Bang are but two small examples. Benjamin Franklin was convinced that ‘God governs by his Providence and that the most acceptable service we render to him is doing good to his other children‘ while Lemaitre was an ordained Catholic priest. Yet many of our contemporaries construe their endeavors as scientific proofs that there is no such thing as a Creator God. What is it, after all? An attempt to understand God’s Will or a method to prove that God does not exist? 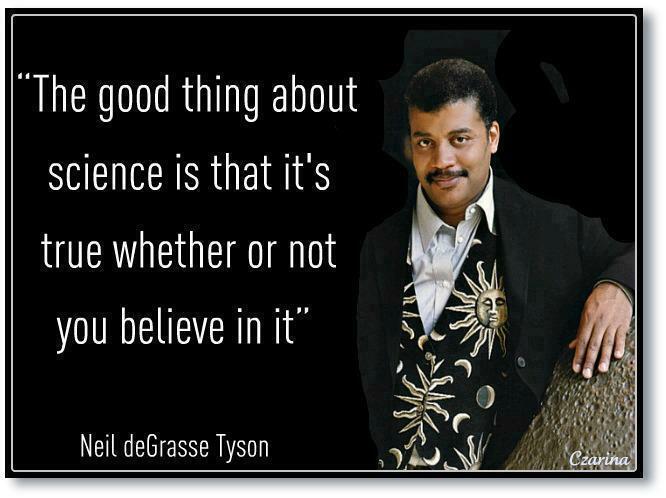 How about science as an attitude? Which maintains Man can, and should, learn about things. Regardless of the name each of us chooses to call them: ‘Nature’ or ‘the Will of God’. Which also maintains that Man, in their quest for knowledge, must preserve its modesty. Nature and/or the Will of God might be ‘accessible’ but it would be actually presumptuous, for each and for all of us, to consider that we’ll ever be able to know/explore every nook and cranny of the World. To learn, and express, all the Truth there is. History of Thinking. Short Course. – Then no history, no matter how diligent and well intended the historian, will ever be the actual representation of what had really happened, back then! – Well, you seem to be quite familiar with Heidegger’s work. – I can’t say that. Popper’s injunction that science is more about being prepared to acknowledge your ignorance than about really knowing is enough for me. – Then we might be soon delivered from History, after all. When enough people will share your attitude/paradigm – that no matter how hard we’ll ever try we’ll never know anything for sure… it will be impossible for any would be dictator to pretend they have the ‘right’ answer for any problem we might encounter. What we currently call ‘science’ is both an activity and an attitude. Something some of us do and the way in which some of us see the world. In current lingo, those who ‘do science’ are involved in ‘technology’ while those who see the world ‘scientifically’ partake in a certain philosophical tradition. If we look at things in this way, it becomes obvious that doing science and thinking scientifically might not be the same thing. Science, as an attitude, had sprung up in Ancient Greece, been kept alive by the early Islamic scholars, rekindled by the Medieval Catholic theologians, come of age during the Renaissance and ‘exploded’ after the Enlightenment. Technology, on the other hand, is way older. And had been developed mainly elsewhere than the scientific attitude. China and India had been technological powerhouses and thriving civilizations in times when Europe was still learning to wash its hands before dinner. ‘Modern’ science – what we have now, appeared only after technological prowess had been married to the right attitude. It is easy to accept that technology, the more widely distributed part of ‘science’, had appeared as a consequence of mere necessity. People needed things in order to survive, then wanted things in order to increase their comfort… things which had to be produced… as efficiently as possible… hence people had put their minds to it and … voila! But what had driven some of those around the Mediterranean Sea to develop the scientific attitude? The same thing which drives us? The attempt to find out the future, one second earlier than it really happens? Because they thought, like we do, that reality is unique and that man is meant to master it? Man, the guy who was made by God in His own image and who was told to rule the world? Populism, the scientific political doctrine. Populism is scientific because its ‘adepts’ have a very rational behavior and use scientific tools to increase the appeal of their public messages. And, on the other hand, populism is scientific because its advent is perfectly explainable given what we currently know. About our society, about our brains, about our psychology…. In Thomas Kuhn’s terms, the last 60 or so years have witnessed a tremendous paradigm shift. Science has replaced religion as the main paradigm and ‘religion’ has been demoted to ‘religions’. Science becoming the main paradigm means that we have grown confident about our knowledge. We might be aware that we don’t know everything yet but we continue to believe that we’re able to learn everything. That if we are diligent enough we’ll sometimes be able to look under every rock that is. This attitude has led us to search for ‘perfection’. ‘Efficiency’ has displaced ‘redemption’. We have ceased our quest for salvation and are now obsessed with ‘buy low, sell high’. In other words, ‘make the most of it but strain yourself as little as possible’. Which makes a lot of sense, doesn’t it? A lot of sense… mainly when you no longer perceive the guy next to you as being a full-fledged member of your community. Your religious community, that is. Of your church. You see, ever since Emil Durkheim, the sociologists have been aware that religion was not so much a story about the making of the world as a ‘common ground’. The ‘common core’ shared by the members of a given community. Which ‘common core’ makes it possible for those who share it to have respect. For themselves and for the other faithful members of the community. By sharing that common core, the individuals find their bearings in the ‘wide, wide world’ and, thus, know how to behave relative to their ‘neighbors’. With enough mutual respect among the individual members that the community is able to function. To survive, that is. We no longer have that kind of community. Our primary allegiance is no longer towards ‘church’. Most of us consider themselves primarily as members of a nation – something governed more by formal laws than by public sentiment, and only secondarily – if at all, as members of a ‘religious’ community. Now, putting two and two together, it’s very simple to understand that in the given circumstances ‘populism’ was inevitable, right? Too many of the would be leaders have no qualms about how they get what they want. Too many members of the general public are willing to accept promises which are in line with their own expectations, even if those promises being put in practice means a lot of misery for OTHERS. Who cares about those others, anyway? They are not members of OUR ‘church’! I’ll let you decide how sustainable is such a situation. I was going to use ‘community’ instead of ‘situation’ but it would have been horribly wrong. We no longer live in communities. We only happen to live in the same place. What we call reality exists. Regardless of us being able to faithfully express whatever we know about it. Regardless of how much of what we know we are willing to share with others. Regardless of some of us using their knowledge to impose themselves upon the less knowledgeable. The irrefutable proof about reality being a fact is not that we have chosen to call it so. Or even to call it at all. The irrefutable proof that reality is factual is, duh, another fact. That nobody, no matter how knowledgeable, powerful or both at the same time, has ever been able to impose their will upon the said reality for any significant length of time. No dictator has ever been able to consistently subdue a people. To kill it, yes. To consistently subdue it, NO. Lately, most of them have also lost an erstwhile relatively common ability… that of bequeathing their power to their intended successor. No scientist has ever been able to pretend they really knew what they were talking about. No genuine scientist, that is… That they have a clue… yes. Of course! A fair understanding of what’s going on… that is increasingly plausible. I haven’t read the book so I’m not going to comment on it, yet. What bothers me is the idea of countering ‘religion’. If any of us sees an error in the ‘scientific’ realm that error is brought forward and fixed but nobody questions the entire realm. Meanwhile if a religious individual does a stupid thing, like all of us have done in our lives, quite a lot of people blame it on ‘religion’ and ‘faith’. Rather irrational – hence unscientific – don’t you think? After all science and religion are about something different. Science is about how the nature works while religion (‘reliegare’ in Latin means ‘connecting’) is about the ties that transform a mob into a community. Some religions use Gods to achieve this, some don’t – Buddha was a ‘mere’ teacher and Buddhism has no need for any God. So, again, why counter ‘religion’? The real problem produced by ‘organized religion’ is that it encourages some people to act in blind faith instead of thinking with their own heads while it offers come callous manipulators the opportunity to use religious teachings as a way to further their petty interests. ‘Faith’ can induce blindness very easily, you know. No matter if that faith is placed in a religious hierarchy/teaching or in the power of rational thinking. Just as reputable scientists, Herbert Simon and Daniel Kahneman among others, have amply demonstrated the human thinking process is not at all infallible.That’s why our pride about our ability to think scientifically should not be allowed to grow into self-sufficiency. After all that was how Marx, on the footsteps of Plato, reached the conclusion that it was possible for a small number of people (the ‘enlightened’ communists) to know better than the rest of the population how things must be organized… The Soviet Union, the biggest social experiment ever, was ample proof that he was plain wrong. On the other hand the one thing that all religions have in common is that they teach their members to respect each other – something that the ‘scientific communists’ never did. Some religions even teach that all human beings, irrespective of their creed, are to be respected. Just think about how most nomad people welcome visitors – those that come in peace, of course. So how come there are so many ‘scientists’ are ready to counter, entirely, something as wide as ‘religion’? What people do, now that they have become conscious. People glimpse fragments from the surrounding reality and then use their newly found understanding to gradually change it. They do this in three, successive, steps. The first has a lot to do with happenstance – the right man at the right place, the second involves a lot of ‘due diligence’ and the third depends very much on how those who end up in command of the new understating relate to the rest of the people. Sometimes some of the people who ‘happen’ to ‘stumble’ on new information/experience something really new feel the urge to communicate to others what has happened to them. Usually the information gleaned/sentiments experienced during this first step are so new that there are no socially sanctioned symbols that can represent them faithfully so the individual trying to communicate the entire experience has to find a novel way to make it understandable for those around him. This is art. The second step has less to do with actual discovery and is more about systematization of information already at our disposal. Something like charting a newly discovered territory. Even if we have to adapt our existing tools to the new task – some of them had been discovered during the first step but that means they are already here when we start the second one, here the job to be done is more about reason than inspiration. This is science. And now, that new information is available – even before it was widely disseminated – people start to use it. Some of it is used straight away/as it is/honestly while some other is used to keep ‘the others’ in the dark or to alter their perceptions in order to fit the goals of the ‘user’/’entrepreneur’/spin doctor. Usually this last way of using newly found understanding has perverse consequences. The ‘user’ becomes arrogant and starts to believe he has somehow become a (demi)God while the people kept in the dark/unwittingly exploited sooner or later become aware of what is going on – and sometimes express that in artistic ways. At some point the equilibrium is regained, either through a a series of oscillations that ’embrace’ it – a revolution – or through small steps in the right direction – evolution. Categories Choices we make, Culture, Psychology, Respect Mutual. Science is wrong. By definition. Maybe the guy who wrote this should have put it a little differently.